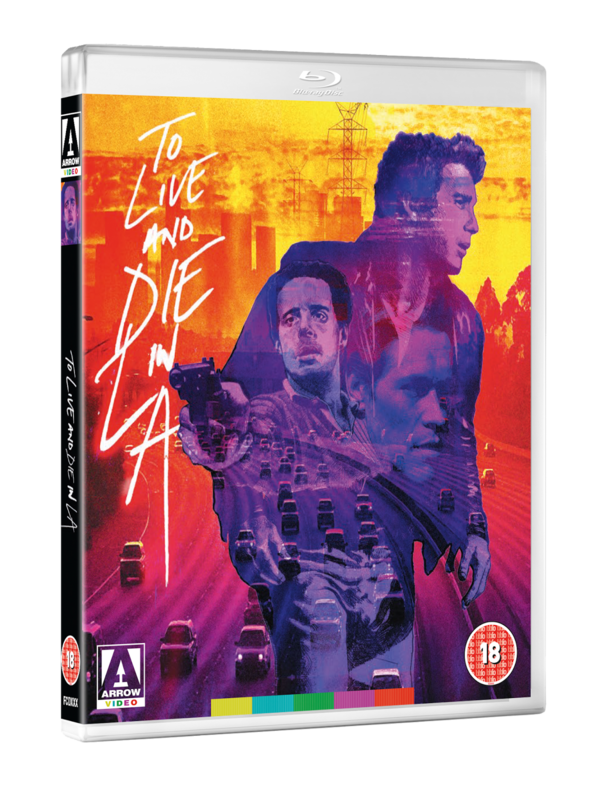 Arrow Video Octobers releases of DVD, Blu-ray and dual format were fantastic but now it is time for another month of releases. Below you will find the release schedule for our top picks of this month. Kelly’s new sorority has a special initiation ritual in store for her – an after-hours break-in of her father’s department store. But what begins as a night of harmless college fun turns sour when, once inside the enormous mall, Kelly and her fellow pledges find themselves locked in for the night.....with a deadly intruder stalking the corridors. How do you follow up a film as iconic as Joe Dante’s seminal werewolf epic The Howling? With a star turn from horror legend Christopher Lee and a leather-clad Sybil Danning (The Red Queen Kills Seven Times), Howling II is more than up to the challenge! After a young woman dies in violent circumstances, her brother is approached by a stranger (Lee) who reveals that she was in fact a werewolf. The brother’s initial scepticism is quickly diffused when he encounters the fanged beasts first-hand. Now the pair, joined by a plucky journalist, must travel to Transylvania to destroy werewolf queen Stirba (Danning), and rid the world of lycanthropes once and for all. Helmed by director Philippe Mora (Mad Dog Morgan, The Beast Within), who would go on to direct the equally barmy follow-up Howling III: The Marsupials, Howling II is a campy horror extravaganza featuring killer dwarves, werewolf orgies and ‘80s punk rock galore! In the seventies William Friedkin made The French Connection, The Exorcist and Sorcerer. In the eighties he equalled them with To Live and Die in L.A., one of the most stylish thrillers the decade had to offer. When his partner is murdered just days before retirement, Secret Service Agent Richard Chance (William Petersen, Manhunter) begins an obsessive hunt for his killer – counterfeiter and all-round psychopath Eric Masters, played by Willem Dafoe at his villainous prime. Beautifully shot by Robby Muller (Repo Man, Paris, Texas) and with a driving score with British new wave act Wang Chung, To Live and Die in L.A. looks and sounds exceptional in this brand-new 4K restoration from the original 35mm negative. MORE SPECIAL FEATURES TO BE ANNOUNCED! You can find out all the details on this release by clicking HERE.